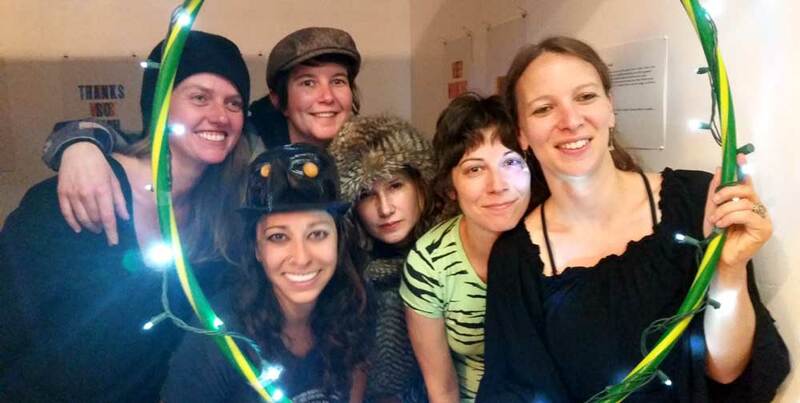 GASP (Girls Assembling Something Perpetual) was founded by six female poets in Denver, Colorado in 2011. Combining elements of the sparse and often absent stage direction with dance, improvisation, and interpretation, GASP creates a poets’ theater of part abstraction, part sublimity, part accident, and part gesture. GASP seeks to find ways within theater, within a “play,” to parallel, not translate, radical elicitations of text, body, and atmosphere. To speak as both mouth and limb simultaneously. Most recently, GASP performed Alice Notley’s The Descent of Alette which they abridged for the stage. Previously, GASP performed Leslie Scalapino’s Sweet: A Play using her minimal stage direction to examine aspects of the politicized body, war, and groupthink. Their performance of four short plays from Gertrude Stein’s Geography and Plays explored language, love, feminism, gender roles, and play through essential and explosive performances. All content © GASP, unless otherwise noted. All correspondence, inquiries and permission requests should be directed to GASP.